Businesses in Hampstead Village, London are coming together to support the first ever charity fundraiser to rescue a group of purebred British Bulldogs and a Bull Terrier from awful living conditions in China. The charity event will take place at the Duke of Hamilton on Saturday 8 December in aid of the Edward Foundation, a charity who help Bulldogs at risk of abuse and used as a commodity. The Edward Foundation have rescued over 1,000 dogs within the UK but recently took on the dogs from China having heard awful stories about their treatment. The dogs are currently out of danger living in China in quarantine and receiving incredible care and will, in the next few weeks, and with the aid of donations, be flying over to new lives in England. In recent days the charity has received the good news that the first dog has successfully completed the flight from China to the UK and will be guest of honour at the fundraiser on Saturday 8th December. The event is the brain-child of Stacey James who moved to Hampstead from the USA last year. Stacey regularly organised high-profile charity events back in her home town of Frenchtown, New Jersey and is excited to bring the first event to her adoptive country. It costs approximately £1,000 per dog for the quarantine, pre-care and their ‘freedom flight’ to the UK. Organisers are hoping that the local community in Hampstead will come out in force to support and dig deep into their pockets to get all of the British Bulldogs to the UK – a country where the breed first began. De Randall, Chairman of The Edward Foundation added “I would like to say a huge thank you to everyone for thinking of our Bulldogs and helping to raise money towards their care. We are bringing 5 Bulldogs over this month that have been saved from the meat trade in China and our first dog Hera, a Bullterrier, arrived on Monday and is doing amazingly well. We are a non-profit organisation and 100% of the money donated will go towards our Bulldogs needs. We look forward to meeting everyone at the party! The charity event is also supported by family run Zasman Vet, who are passionate about the well-being of animals, and venue partner the Duke of Hamilton. The event, on Saturday 8 December, starts at 1pm at the Duke of Hamilton, New End Avenue, Hampstead – humans and dogs all welcome! The event will be suitable for families with red-carpet photo opportunities, puppy play areas, limited doggie bags and lots of fun and fundraising. The Edward Foundation was founded in 2011, to help Bulldogs at risk of abuse being and used as a commodity. The Foundation also help families who have to give up their beloved pets for whatever reason and simply want to know they are being rehomed sensibly and responsibly. The Foundation has helped over 1000 bulldogs find loving forever sofas. 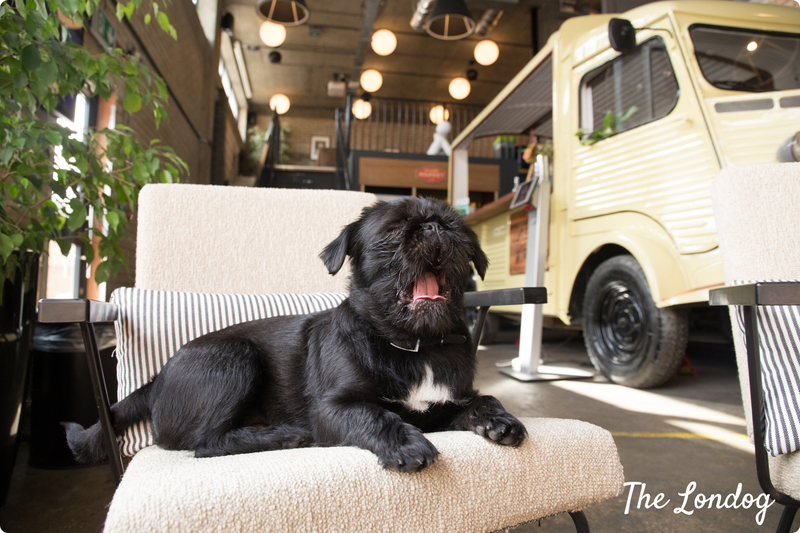 Hampstead Hounds is the sister company of Hampstead Sitters, an award-winning independent business based in Hampstead that has fast become a key part of the Hampstead community.